It’s dinnertime; you are enjoying the company of some close friends in your local haunt. Habitually, you reach for the wine list to scout out the perfect liquid companion to your evening meal. Shall you have white tonight, or will it be red? 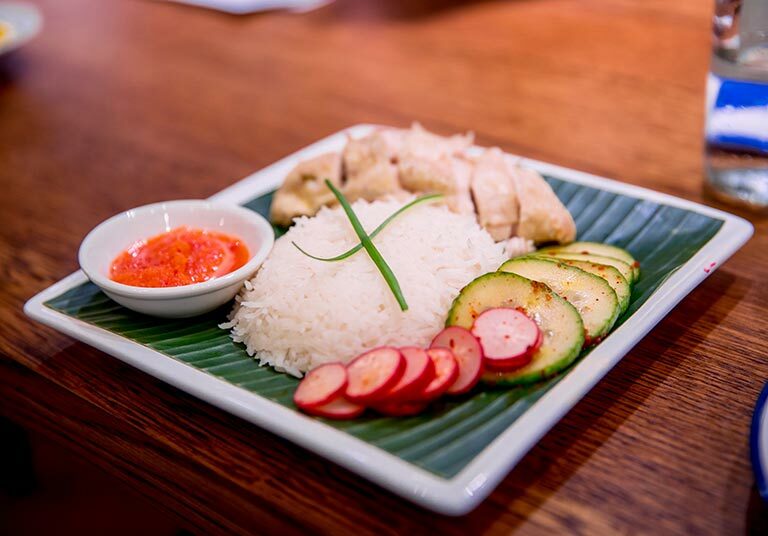 Or will you, like the growing numbers of culturally curious diners across the world opt for something else entirely? As the popularity of sake grows, and as sake is slowly introduced to drinks lists across the global dining scene, we have begun to witness diners becoming more alcoholically intrepid. Diners are learning to “Eat with Sake”, not only at Japanese restaurants, but also at Pan Asian, Indian and even Michelin establishments. Now that we have learned how to “Eat with Sake”, master brewers Gekkeikan are encouraging consumers to go one step further. 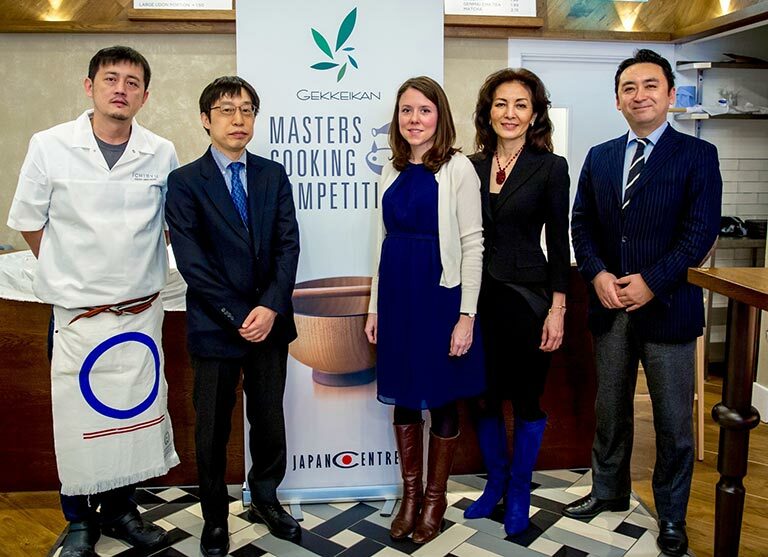 In conjunction with the Japan Centre, Gekkeikan hosted its first sake themed cooking competition, introducing us to the concept of “Sake to Eat”. Cooking with sake has long been part of the Japanese home cook’s repertoire and it is well known that sake’s rich umami naturally complements the equally umami rich ingredients of Japanese cuisine – mushrooms, kombu, dashi, natto. 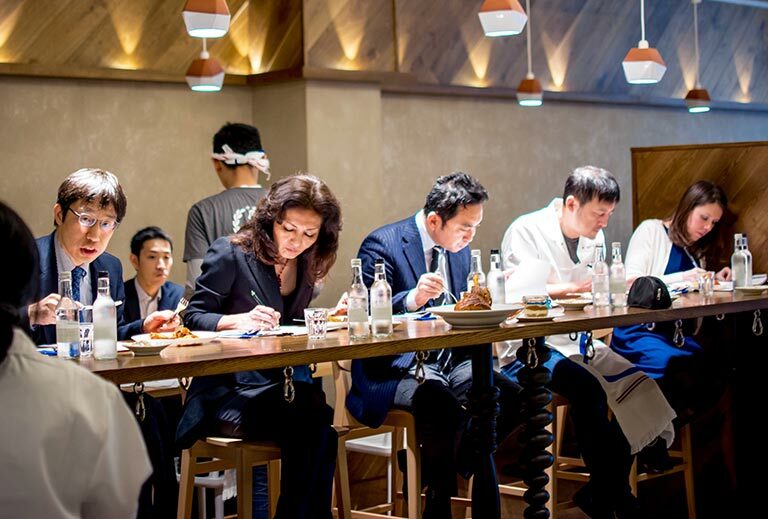 Umami, however, is not confined to Japanese food alone and with this inaugural sake themed competition, Gekkeikan hoped to inspire a new generation of global chefs to use sake more creatively at mealtimes. After whittling down the entries to a handful of finalists, our experienced panel set about deciding the overall winner during a final cook off on Sunday 24 January, at Japan Centre’s newly opened udon-ya Ichiryu on New Oxford Street. After a morning of cooking, tasting and discussion, the winner was elected. 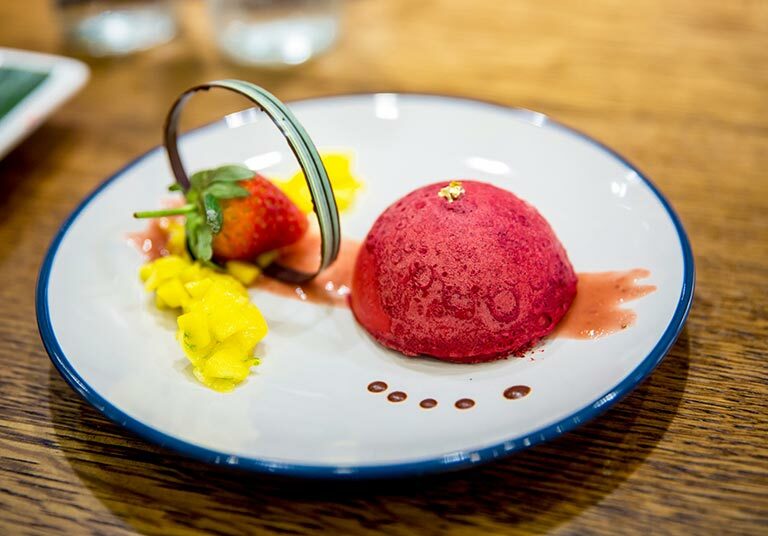 A raft of outstanding dishes were presented, each demonstrating creative use of sake as a cooking ingredient, but it was the Drunken Hainanese Chicken Rice and the vibrant Strawberry Sake mousse with White Chocolate Shell that stole the show. In these two dishes, the sake flavour shone through, beautifully lifting the other flavours of the dish. 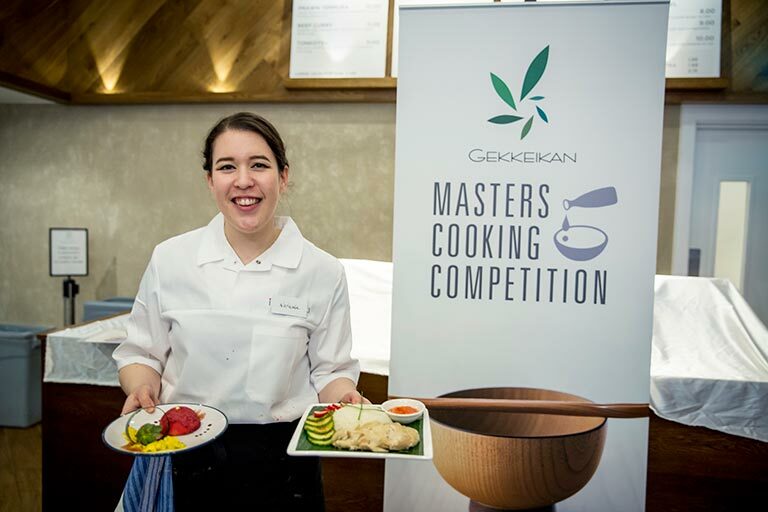 Our winner Natasha Cohen, a copywriter from London, was awarded with an exclusive one week trip to Japan including a two day hands on training course at the Gekkeikan Sake School in Kyoto Fushimi, courtesy of Gekkeikan. Despite there being only one winner of the overall competition, the event itself was an undeniable victory for sake. And as is traditionally the case for celebratory occasions, attendants and judges participated in the time-old tradition of kagami-biraki, toasting the day with the suitably festive Gekkeikan Kinpaku Honjozo. Kagami-biraki, or sake barrel breaking, traditionally represents ‘breaking’ open the door to fortune and prosperity; and indeed we hope that Gekkeikan’s initiative opens the door on a new chapter for sake. We wait in anticipation for a new crop of innovative, flavoursome sake themed recipes and continued re-interpretation of sake’s role at the dinner table in the years to come. Second place – Mutsumi Kramer. Sweet Dish: Rosey Sake Jelly with Raspberry Sauce. 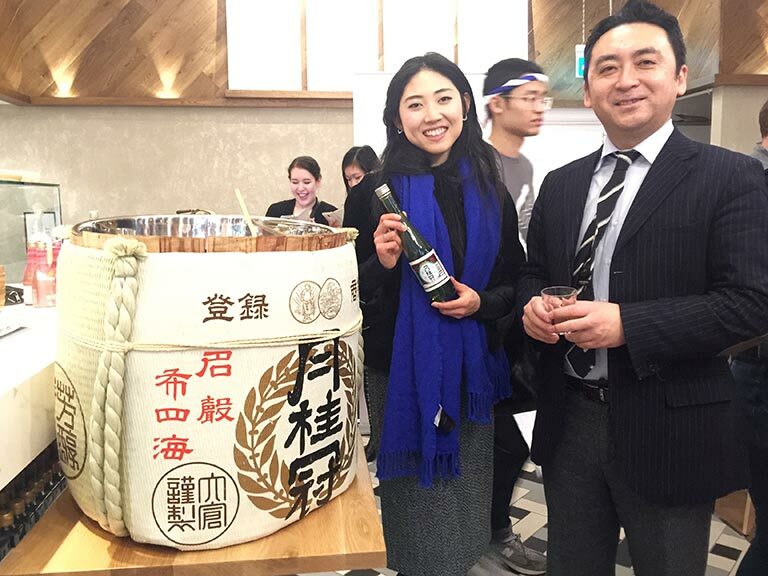 Mutsumi was awarded a two days certified sake sommelier course at the Sake Sommelier Academy. Third place – Adam Frosh. 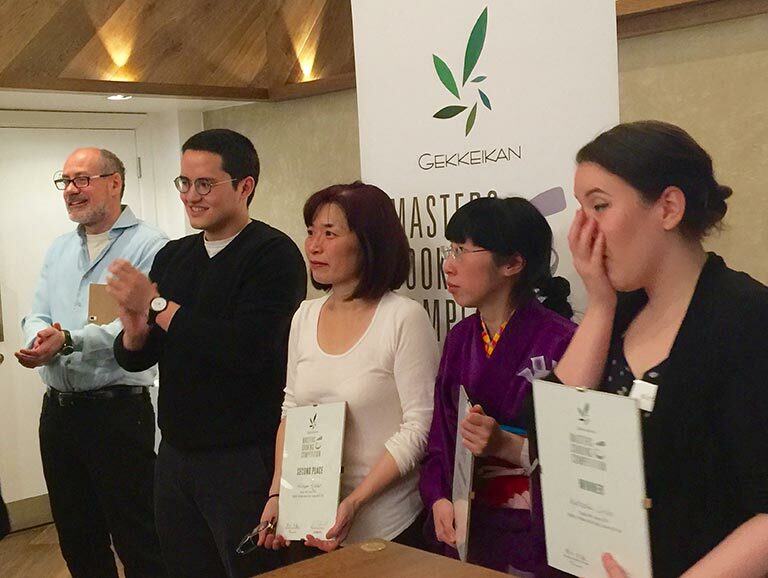 Adam was awarded a case of Gekkeikan Special Edition Sake from Kyoto with a premium Horin Riedel Glass Set.